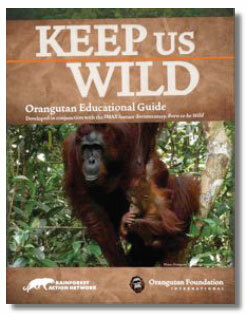 Want to learn about orangutans, their rainforest habitat, and ways you can help save them? 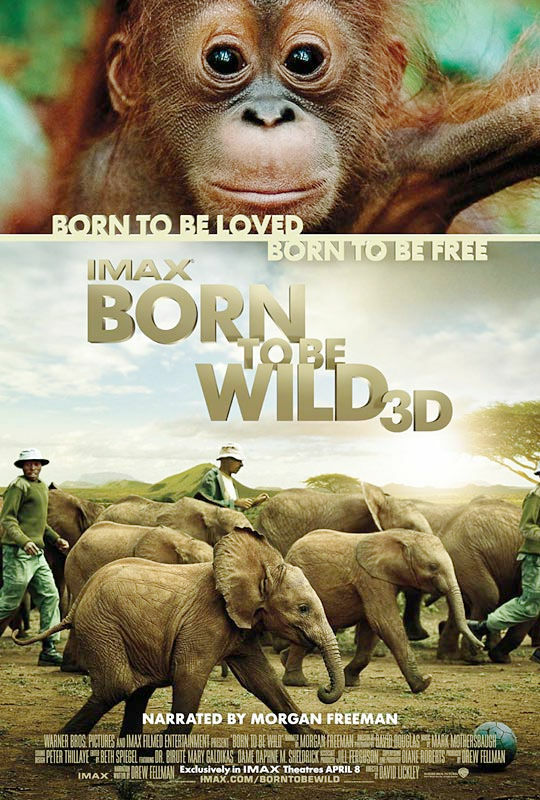 A fact-filled, action-oriented, orangutan education guide created through a special partnership between Rainforest Action Network and Orangutan Foundation International in conjunction with the IMAX film Born to be Wild. 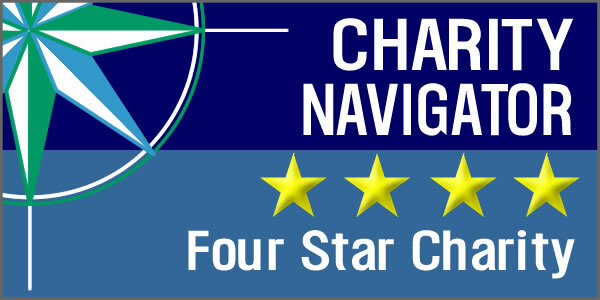 Free for general and public use. For Grades 3-5—Filled with dynamic educational activities and a classroom poster inspired by the IMAX film Born to be Wild. Free for general and public use. 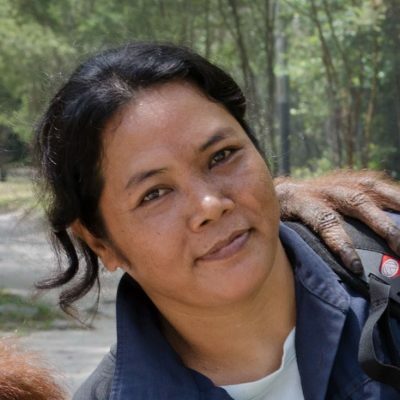 OFI’s co-founder and president, Dr. Biruté Mary Galdikas, would be happy to visit your community to give a lecture on orangutans, rainforests, research, and conservation. Dr. Galdikas’s unique insight has been gathered from decades of experience working in the jungles of Indonesian Borneo. She has spoken at numerous universities, zoos, country clubs, and elementary schools. Hosting a lecture by Dr. Galdikas is a great way to raise awareness about our fight to save wild orangutans from extinction. Other speakers from OFI may also be available. The OFI adoption program and online merchandise store provide great opportunities to purchase meaningful gifts for your friends and family. You can spread awareness about OFI by gifting an orangutan orphan adoption, a tree planting certificate, or orangutan-themed merchandise. 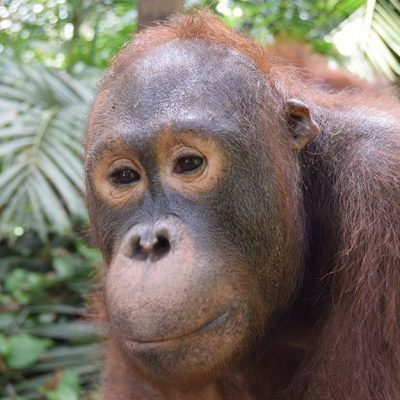 When you give the gift of an orangutan orphan adoption, the recipient will receive an adoption package, as well as an update about their orphan’s progress. Gifting merchandise. from the online OFI store is a great way to spread the word about OFI, because not only will the recipient learn about OFI, but when they use or wear their OFI merchandise, other people will also be introduced to OFI.